Originally performed in temples, lomi lomi is more than just massage, its healing, with its roots firmly anchored in ancient hawaian traditions. It is essentially an oil-based massage using rhythmic dancelike movements of the palms, knuckles and forearms of one or two therapists in perfect harmony. Lomi lomi helps disperse stagnant energy, improve circulation, stimulate the lymphatic system and instill a positive sense of being. Lomi Lomi is a Hawaiian massage, also known as the "loving hands" massage. This name helps to explain its principles - the massage works gently yet deeply into the muscles with continuous, flowing strokes, allowing the recipient to relax and give in to the nurturing touch. "Lomi Lomi" translates to "rub rub" in Hawaiian, and reflects the broad, flowing strokes made with the therapist's fingers, thumbs, palms, arms and elbows. Macadamia, palm and coconut oils are usually used as moisturizers in lomi lomi massage, to keep the strokes smooth and to nourish the skin. In Hawaii, lomi lomi is used to treat children with upset stomach and soothe women in labour. A lomi lomi therapist will not aim to heal themselves, but to be the facilitator for healing...to enable healing to take place. The nature of lomi lomi means that you probably won't be able to wear very much, so check with the spa about what you can bring. Bikini bottoms are usually OK, or the spa might even provide disposable paper pants (not a fashion item). 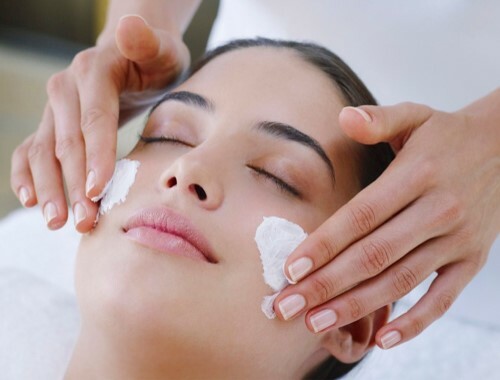 It's worth remembering that the oils used in massage are not same kind to hair or make up, so you might not want to return to work straight after your treatment. But that's fine. If you can clear your diary for the afternoon, you'll be able to spend longer in post lomi lomi heaven. Avoid eating heavy meals or drinking alcohol in the hours leading up to your massage. Your therapist should ask about your medical history before your treatment begins. It's important to tell them if you are - or think you may be - pregnant. Tradionally, lomi lomi massage is performed with the recipient lying on a hand-woven mat on the floor. However, you may find yourself on a conventional massage table, or lying directly on the vinyl of it. Instead of being covered with towels, you might just have one tower or a small sheet to preserve your modesty. These steps are taken to avoid interrupting the continuous flow of the message. Lomi lomi usually begins with a period of stillness between therapist and recipient, sometimes with the therapist's hands resting lightly on the recipient's back. During this moment of stillness, a traditional lomi lomi practitioner would say a blessing or prayer, asking for whatever healing is needed. Your therapist will work intuitively with your body, with fluid, rhythmic strokes to release and shift tensions. There is no set format for the massage itself, so no two Hawaiian massages are the same. The treatment may be slow and relaxing, or faster and more invigorating, depending on how your body responds. You might find that the therapist massages two different parts of your body simultaneously - this is to stop your brain from focusing on any one area and therefore helps to aid relaxation. Sometimes, lomi lomi is carried out by two therapists at one to intensify the effect. Your therapist may make full-body or under-body strokes, lightly stretch your limbs and carefully rotate your joints. These techniques are thought to free up your energy flow, and she will perform them very gently, staying within your comfort zone and level of resistance. Don't be surprised if your therapist - particularly if she is a tradional lomi lomi practitioner - hums at various points during your massage. Humming is supposed to create amplified and vibrating energy, promoting the release of blockage within the body. Dance techniques and hula movements are important, too, in keeping the energy flow high. One of the luxuries of any tradional massage is the thought of its geographical origins. Think of lomi lomi as your own little piece of Hawaii, imagine yourself in a treatment room next to miles of sandy beach and feel its holiday effects work their magic..
You will feel blissfully relaxed after your Hawaiian massage, and nurtured from top to toe. Make time to wallow in the afterglow, and have a dip in the pool or a leisurely shower before you return to the real world. If you are lucky enough to be in Hawaii, why not sit yourself between sand and ocean and let the waves lap you into a deeper, warm, luxurious calm.